With the help to buy scheme and other contributing factors, homes are becoming easier to buy for first time buyers. 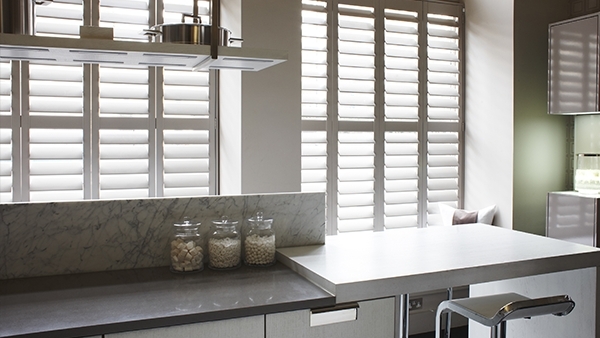 Use our shutters in your first home. Whether purchasing a home by yourself or moving in with a partner, a first accommodation can seem incredibly daunting both, financially and aesthetically. While we can’t help with your finances (except providing consistently low price quotes around the South East! ), we most certainly can help with the aesthetics of your home. Let us focus on interior design for men, who tend to be thought of as less particular when it comes to their homes. Different designs for your bachelor pad can alter your moods and the way you live your life – it is a proven fact that a clean living space will increase your levels of happiness. This is likely why many bachelor designs are based on very minimal styles. Additionally, minimalist designs have very low maintenance while giving a masculine vibe. We fully recommend our Designer slats for your minimalist & modern designs. The flat shaped slats can look both sleek and sophisticated, the subtle shades also suiting colouring for your rooms.